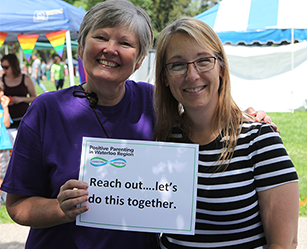 The exploration of a comprehensive approach to positive parenting in Waterloo Region was initiated by a recommendation from the One Stop Planning of Services for Young Children and their Families through Multi-use Community Sites (One Stop) research project conducted by Region of Waterloo Public Health. This recommendation led to the planning of a community-wide forum to discuss the interest and possibility of working together on a comprehensive approach to positive parenting in Waterloo Region. The Positive Parenting Community Committee began meeting in the spring of 2011 and has become a thriving community based initiative for positive parenting. See our Terms of Reference for more information.